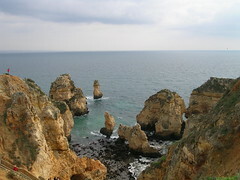 Overview: This is the second half of a south-north journey my wife and I made through Portugal in early 2005 – and follows on from the Algarve to Lisbon route described previously. 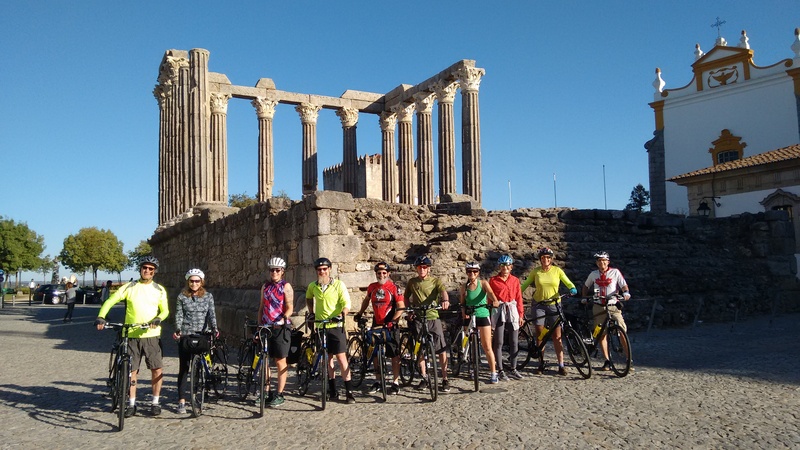 After leaving Lisbon in mid-February, our route mostly followed the coast north, with detours inland to visit the historic towns of Alcobaça, Batalha and Coimbra. 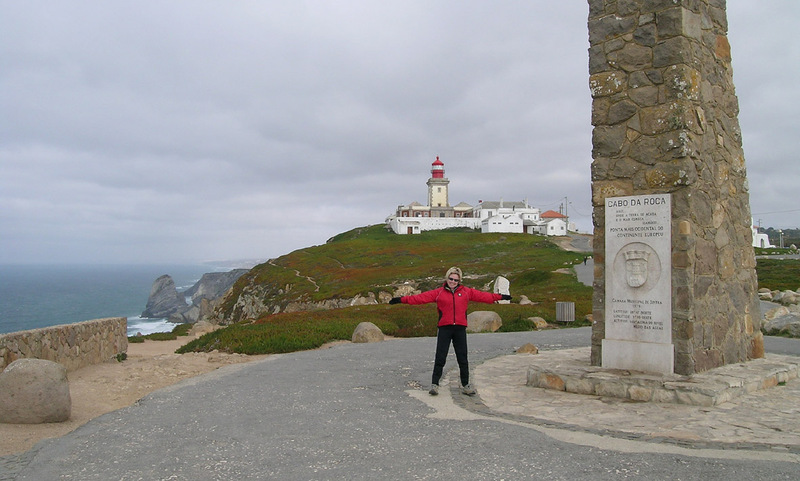 Cabo da Roca – mainland Europe’s most westerly point is only a short ride from Lisbon. It also takes in mainland Europe’s most western point, the surf beaches of Peniche and the site of one of the most important battles of the Peninsular War. 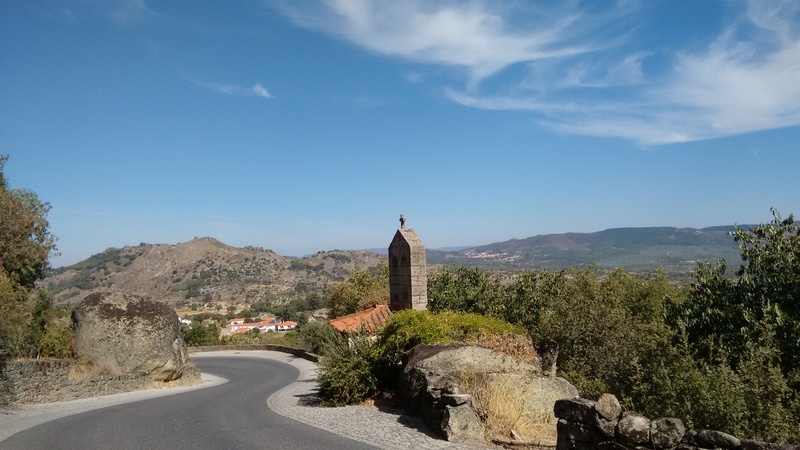 Further north, our route left the coast in order to avoid Porto, taking us on a hilly but scenic loop through the Douro valley, before coming back down to the seaside at Vila do Conde. After passing through Viana do Castelo, we eventually crossed the border into Spain in early March. This ride was our first visit to Portugal. Having subsequently lived in the country for several years, I think this route offers a good taste of its northern half. For anyone contemplating a similar route, I would definitely recommend staying inland most of the way. To be honest, most of the Portuguese coast north of Peniche is pretty dull and there are no towns – other than Porto – worth a major detour. Porto presents more of a dilemma. It’s a slightly grubby, run-down but fascinating place with lots of history and a dramatic setting. However, the roads around the city are some of the busiest in Portugal and the surrounding area quite built-up. Personally, unless you’re set on riding everywhere, I’d recommend leaving your bike behind and taking the train in from one of the nearby towns – there’s a good network of local trains connecting Porto with many surrounding towns. Basically, if you want pleasant cycling, small towns and quieter roads, avoid the coast and stay inland! 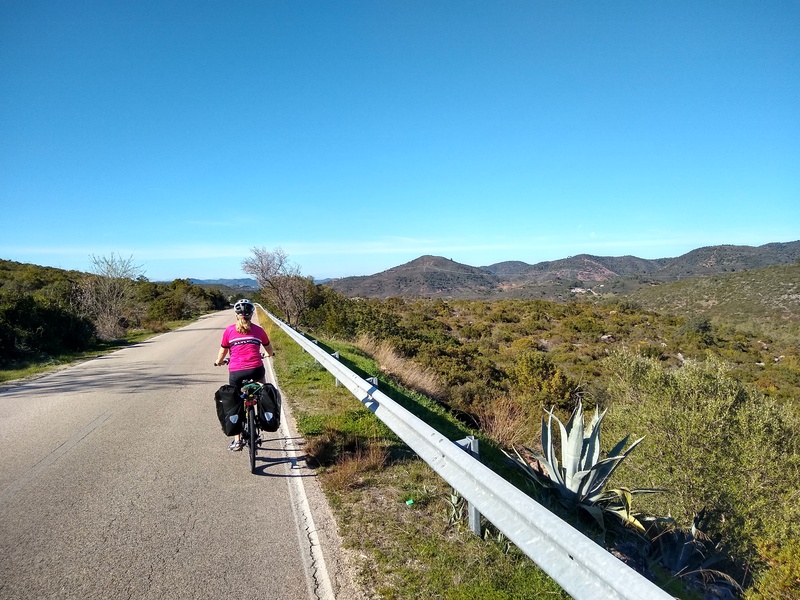 Stages: As with the first half, I’ve split the route into stages – with the stages numbered to follow on from the Algarve to Lisbon ride. 5. Lisbon to Peniche – out of the capital and up the Atlantic coast via Sintra and Ericeira. 6. Peniche to Coimbra – inland via the historic towns of Batalha and Alcobaca to Coimbra. 7. Coimbra to Arouca – back to the coast near Aveiro and then up into the hills to the south of the Douoro. 8. Arouca to Galicia – Looping inland to avoid Porto and then north along the coast and across the border into Galicia. 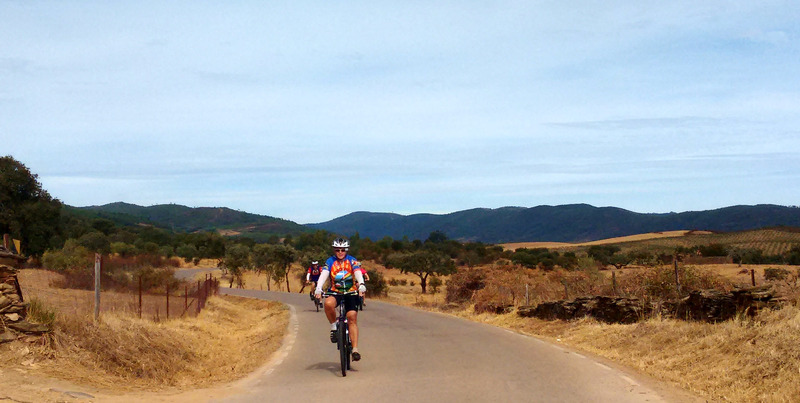 What is your opinion of the EuroVelo route that goes up the coast between Lisbon and Porto? (http://euroveloportugal.com/). Based on this post, I would assume you would not recommend it? 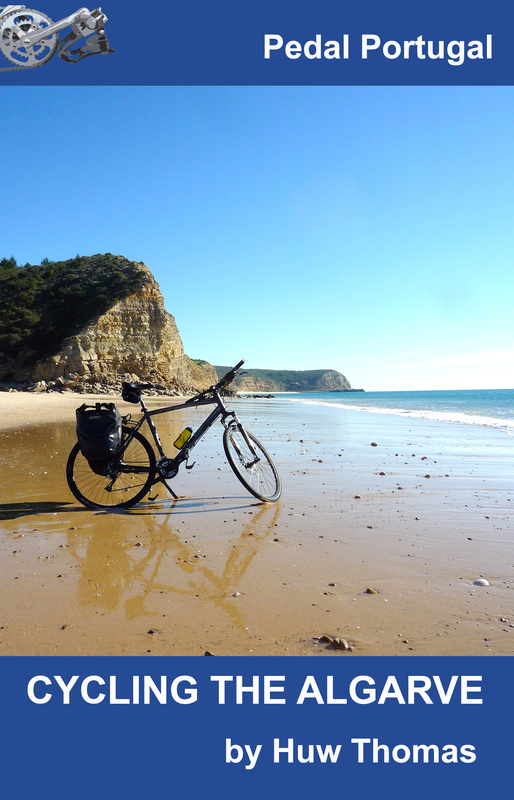 I haven’t ridden it all myself – although I have cycled roads that cover some sections north of Lisbon. Based on what I’ve seen and comments from other riders, it’s not great. Signposting is also very poor (or non-existent). Also – and this is a personal view – there are some attractive bits of coast but a lot of it is nothing special and the coastal area is generally much more built up and busy than further inland. There’s much better cycling and more interesting scenery further inland.